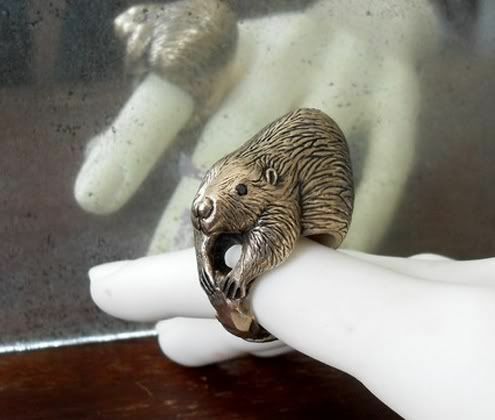 Well, it probably is if you like really quirky jewelry anyway, hehe. If you didn't get one for Valentine's Day and are dying for your own, you can find them from PocketandSpark for $250 a pop. They're cast in bronze with sterling silver lining (so your finger doesn't turn green, of course), and the eyes are black diamonds.